APEX | Quad Infotech Inc.
Use the advanced data presentation tools in APEX to create sophisticated reports and displays in minutes.  APEX is a revolutionary and one-of-a-kind application for information transparency and awareness in the industrial environment. It enables integration of data from multiple database systems, PLCs, media files and camera feeds into rich reports, digital displays, data exports, alarms, ETLs for system integration, and much more. With its user-friendly interface, APEX puts you and your team in full control of your data. Fulfill all information needs of your organization from top management to the operational floors. Become an information hero. Go ahead, you deserve all the credit! APEX can collect data from multiple sources such as databases, PLCs, internet and more. Collected data is stored either locally or in the enterprise cloud. 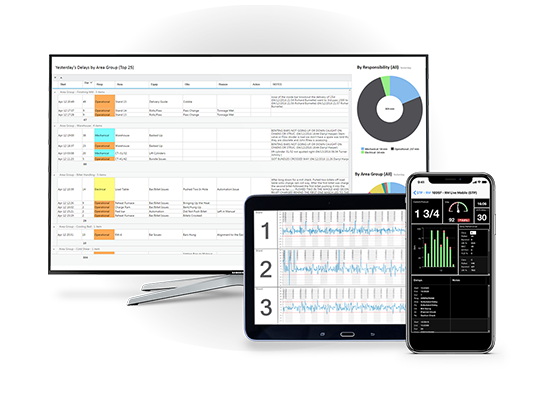 The collected data can be merged together into highly graphical reports and live displays. 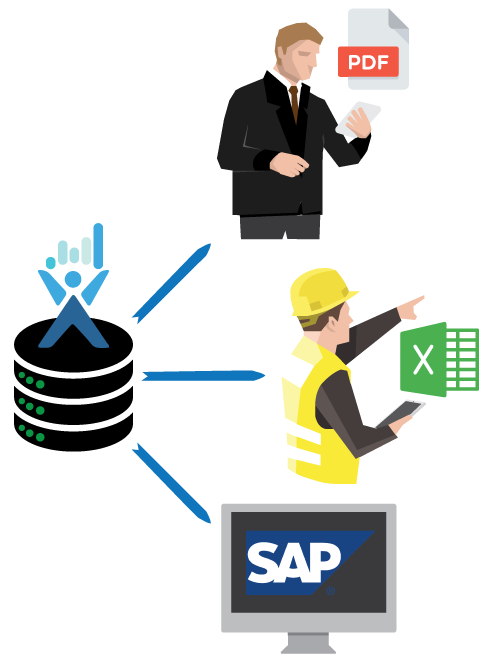 You can create a single report containing data from multiple sources for example, sales data from the ERP system, production data from the MES systems, shop floor data from the PLCs, weather data from the internet and so on. APEX can collect data from any PLC via OPC protocols. 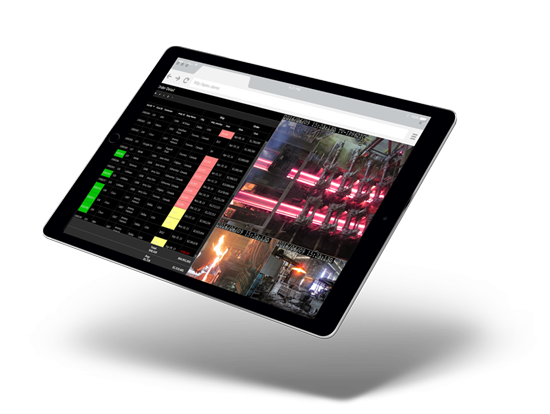 Using the quick design tools, in not time, you can create real-time, web based, graphical HMI screens and make it available to the process engineers. There are many advanced trending tools available to enable you to merge your PLC data with production data from your other systems to enhance the readability of the PLC data. 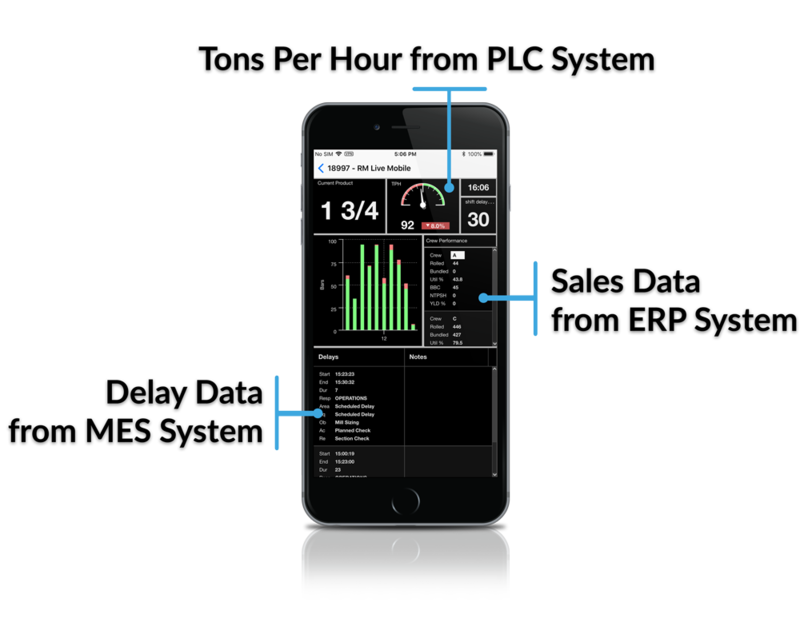 For example, you can visualize your motor load data and your crew information at the same time enabling you be better understand how each crew tends to operate the equipment. With APEX creating custom alarms is quick and easy. The alarm rules can be checked against the data from the databases or the PLCs. This way, you can monitor the health of your shop floor machines and equipment as well as your various information systems. 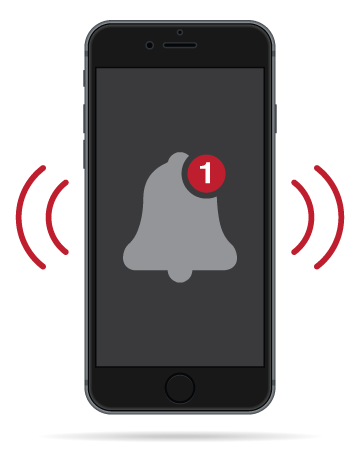 Once the alarm is raised, all affected parties are notified via email, the APEX app or live displays. As a cloud-based system, APEX can centrally monitor locations in different regions and continents from a single access point. The APEX alarm management system allows you to choose how specific the failure monitoring should be. You can monitor a cluster of motors as a single unit, or drill down to each individual motor. 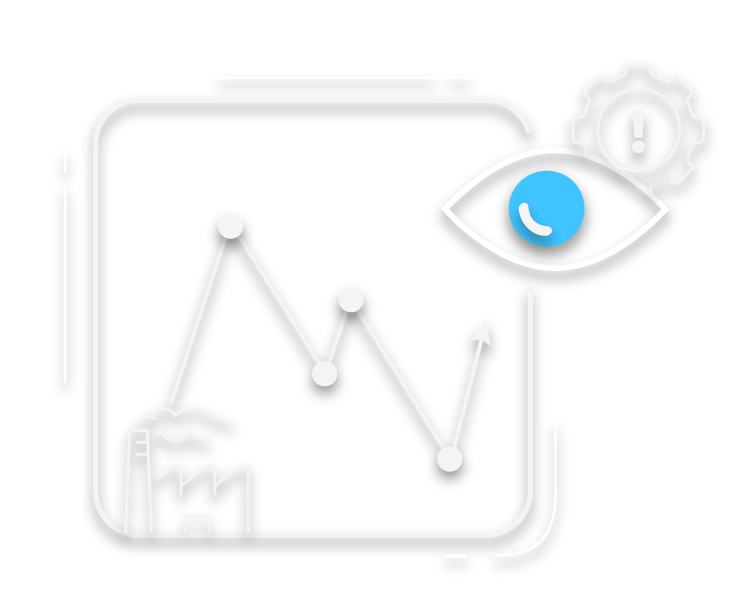 At the same time detailed analysis of the alarm history enables the users to monitor failure trends and predict potential problems before they occur. One of the unique capabilities of APEX is that it provides the means for the process photos and videos to be stored and shared. The operator can take a photo of a defective product or a malfunctioning motor and upload it to APEX using the APEX mobile app. The uploaded media are organized in folders and can be viewed by coworkers and team members creating better situational awareness and facilitating more effective decisions. Another unique feature of APEX is the ability to link with your closed-circuit camera systems. You can integrate the live camera feeds into your reports and displays and access them anywhere via the APEX web portal. You can see the production data and performance KPIs side by side with the production line feed all on the same screen. APEX can be your main access point to all information enterprise-wide. A single cloud-based APEX server can collect and deliver information from multiple plants and multiple systems. Through the APEX web portal, you can access reports from all production units, ERP systems, PLC systems, camera systems and more. 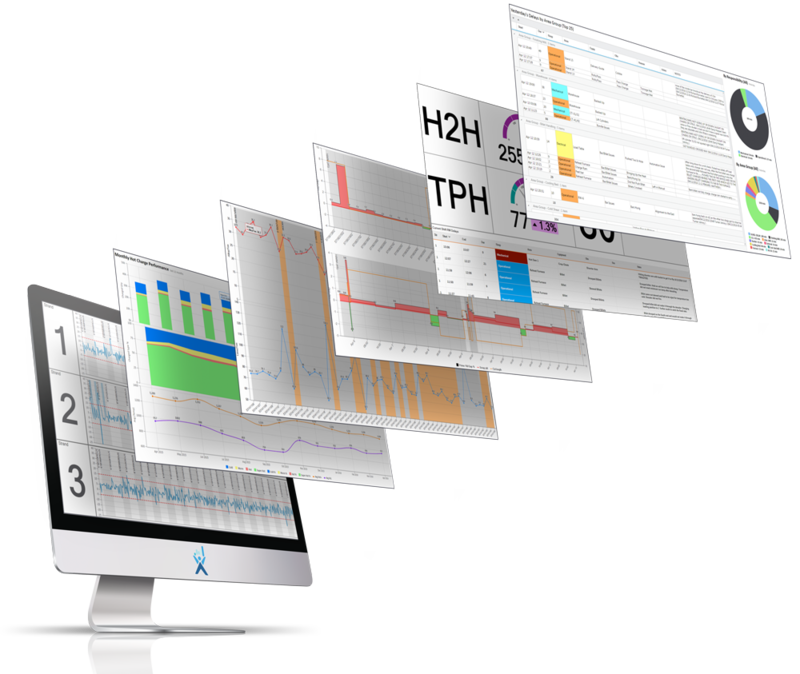 APEX provides tools to enable quick and effortless creation of highly advanced and graphical reports and displays. And the best part is no programming is needed. Give your users a head-start on their new initiatives by quickly providing them with the information they are asking for. You will be amazed by the quality of the displays that you can make. They will be amazed by how quickly you were able to create such sophisticated reports. APEX delivers information to the users automatically. APEX updates all live screens and displays using push technology. If you have an APEX report or display opened on your monitor, you can always be sure that you are looking at the latest data. Reports can be auto delivered to targeted user groups based on a set schedule to ensure that each group gets exactly the information they need in timely fashion. The information can be sent in PDF or excel formats. APEX can also be used for integration purposes where it sends information from one system to another. For example, the data from the MES system can be sent to the ERP based on a predetermined schedule.